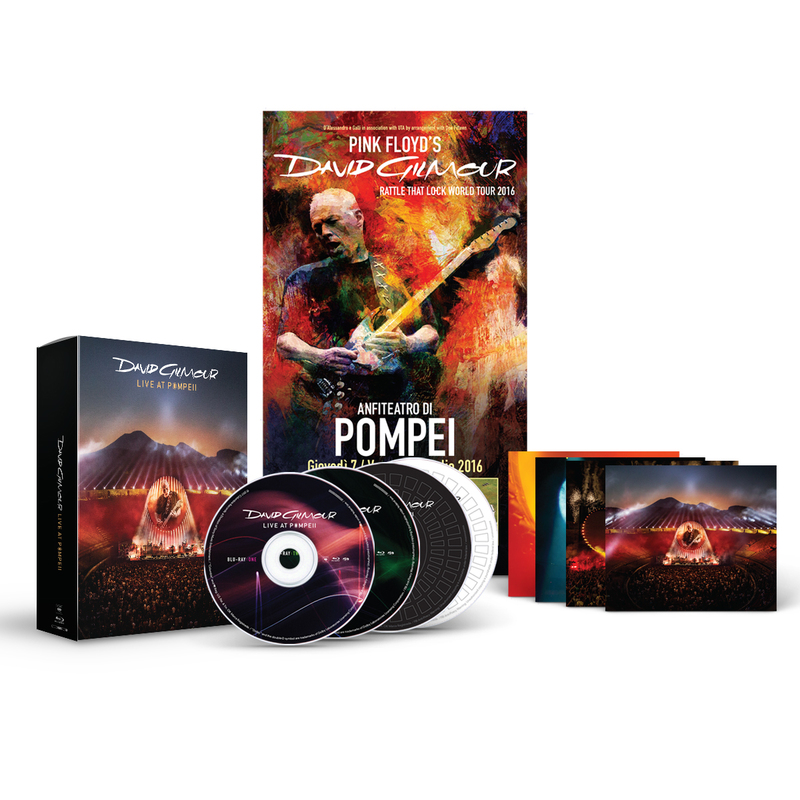 David Gilmour returns to the historic Pompeii Amphitheater, performing two spectacular shows shot in dazzling 4K. He is the only performer to play to an audience in the arena since the gladiators. These shows are not only historic, they are an audio-visual experience. 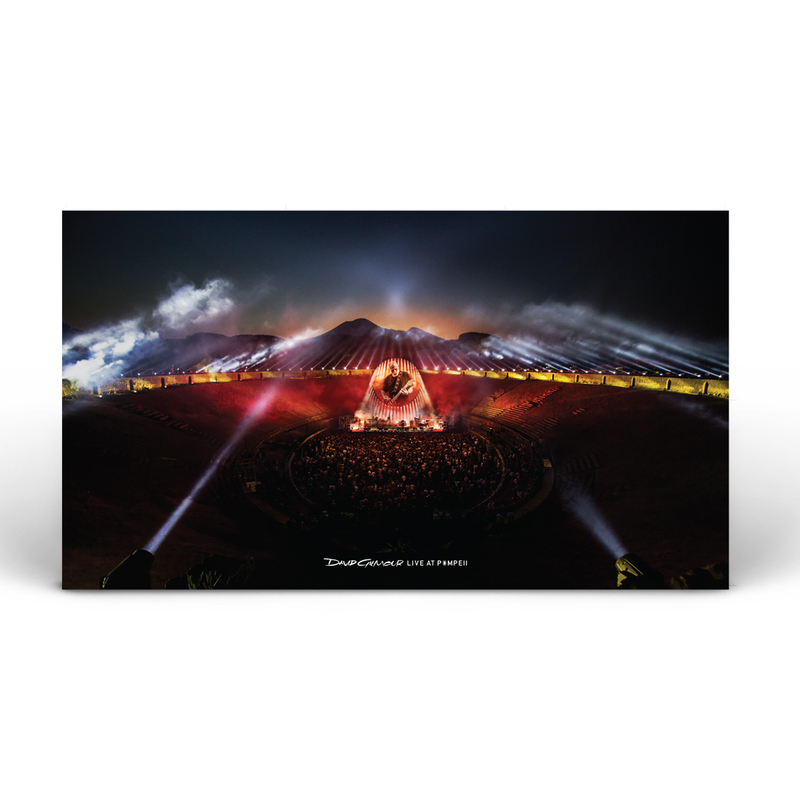 Featuring lasers, pyrotechnics, and of course, rock and roll, this once-in-a-millennia opportunity also features a documentary entitled, Pompeii: Then and Now. The documentary includes footage from both of David Gilmour’s appearances at the Pompeii Amphitheater, from the audience-less show in 1971 to the electrifying performance in 2016. 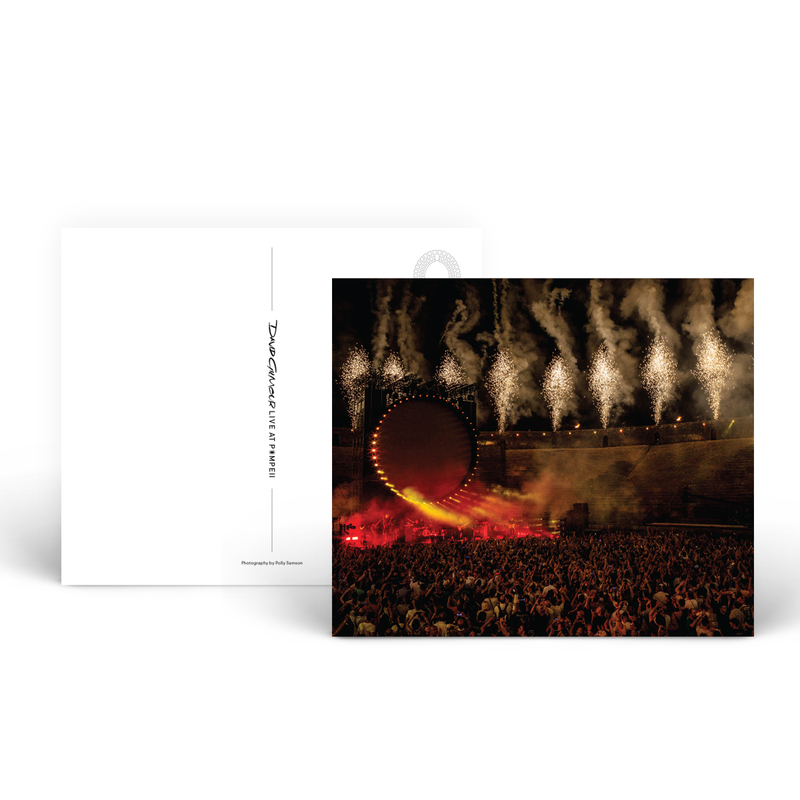 This deluxe edition boxset also comes with a bonus Blu-Ray disk featuring concert footage from South America and Poland, as well as a feature-length documentary called, David Gilmour: Wider Horizons, by BBC and supporting documentaries by Gavin Elder. This is a full, immersive experience. 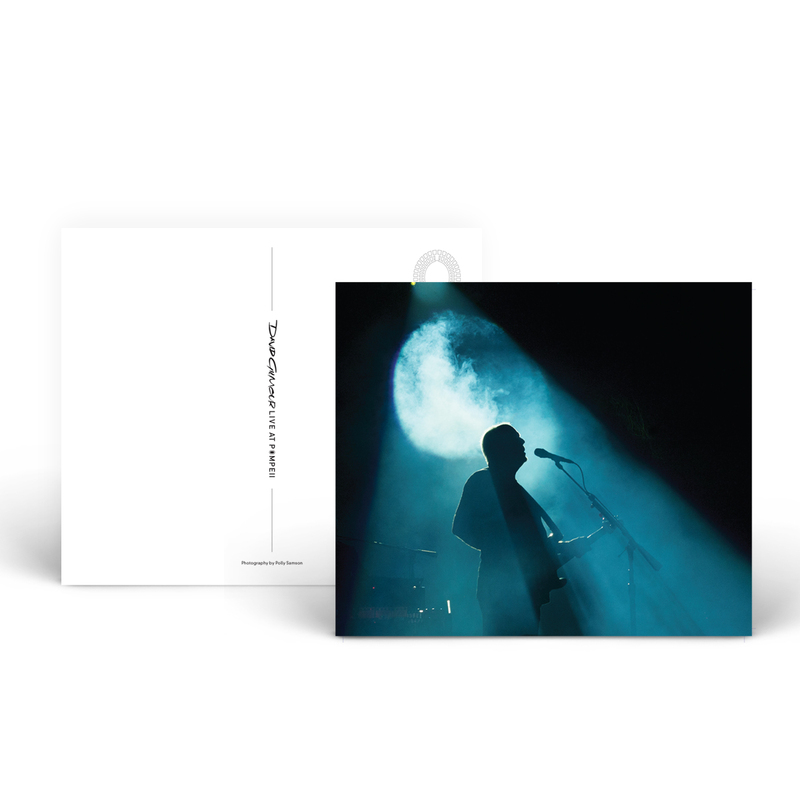 Listen to the entire experience at home, in the car, or at work with this exclusive 2-CD deluxe boxset. 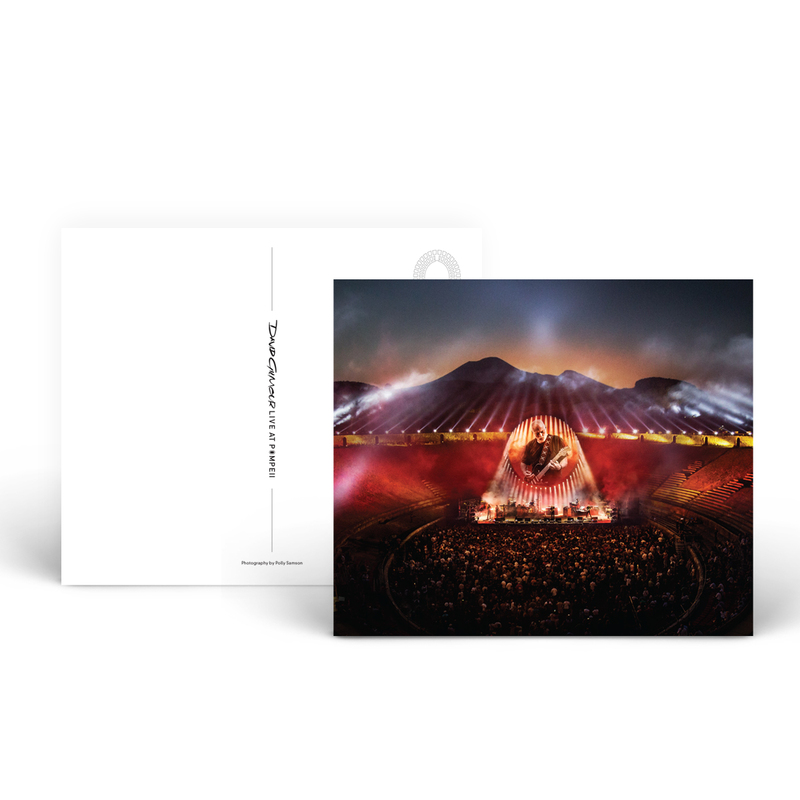 Featuring 21 tracks of the best of both shows, this crystal-clear CD set brings the best of the David Gilmour sound right to your ears! This set is incredible! The 4K quality is really spectacular and the sound is just about as close to being there a sone can get. You have to turn it up very loud to enjoy it to its fullest. Highly recommend this set. Musique éternel , ageless composition. David always on , ne vieillit jamais. Only difference, happyness and comfort to perform. Merci beaucoup de nous offrir de tel performance. Got the DVD/CD ,Box set.Found the price to be fair. Plus it has some added bonus's. The quality of the cd was super.In some places it sounded 3-D,Same can be said with the DVD. Plus extra concerts. Love it.I give this box set a Ten- Plus. I initially ordered this set in October and, for some reason, the Post Office messed up and still haven't delivered!! The tracking system states that it is in Post Office somewhere! Who knows? Since this was a birthday gift for my son, I contacted the site and was reassured that another set would be delivered to my son, on a priority basis, which it was at no charge to us. The only request was that if the original order showed up, then we should call them and a free shipping return label would be sent. So, what can I say? Impeccable service, my son and his family are hugely delighted with the product. The first one hasn't materialized yet so hopefully some Postman isn't jiving to Live at Pompeii on his daily delivery. Thanks to the David Gilmore site and great customer service! This blu-ray dvd set, brought me back to the last time I saw David play at the Hollywood Bowl. on the Rattle &amp; Lock Tour in the Spring of 2016. Along with the Division Bell at the Rose, the Momentary Lapse of Reason, The Wall, Wish You Were Here (with all of the kindly police escorts! ), at the Sports Arena, and the Animals Tour at Anaheim stadium (the great rainout). 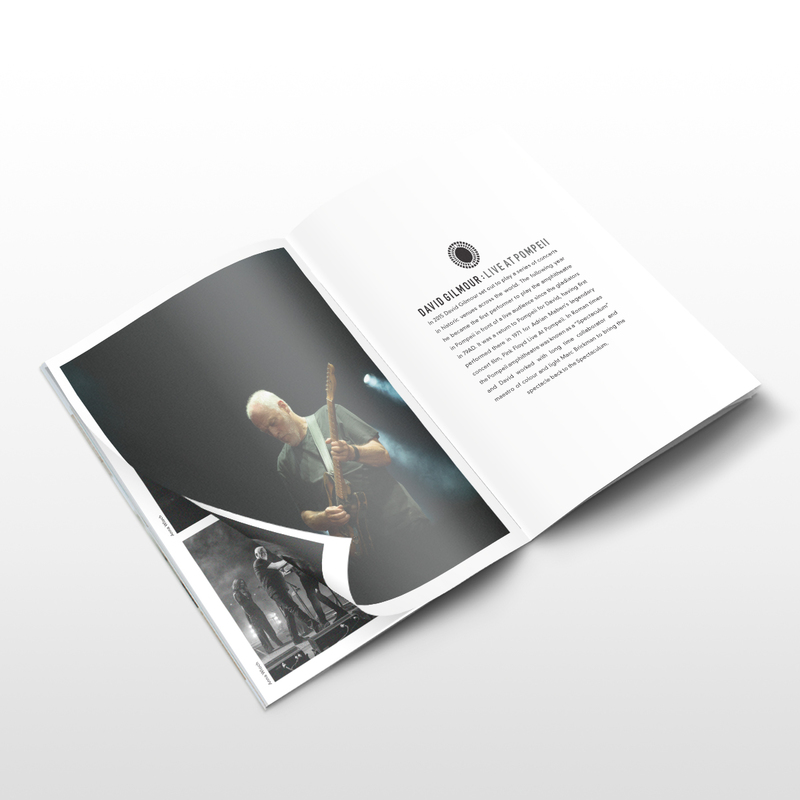 But, with all of the times, in different venues,...there was one consistant constant... David Gilmour. Whenever he plays, whether it is electric with his black axe strat, acoustic, or sitting down while playing the slide, he is without doubt, the guitarus stradivarius. He is a master, to the highest pitch in his craft, with he so endearly shows, on recordings as well on stage, a true professional, and I will always grateful for him to allow me to listen, see such a presense. You can get all of this with great collection of songs presented on this blue-ray dvd set! My father and I saw David when he came to Chicago in spring of 2016, and patiently waited for a concert DVD to be released. When we finally received this recording and watched it, we were absolutely blown away! 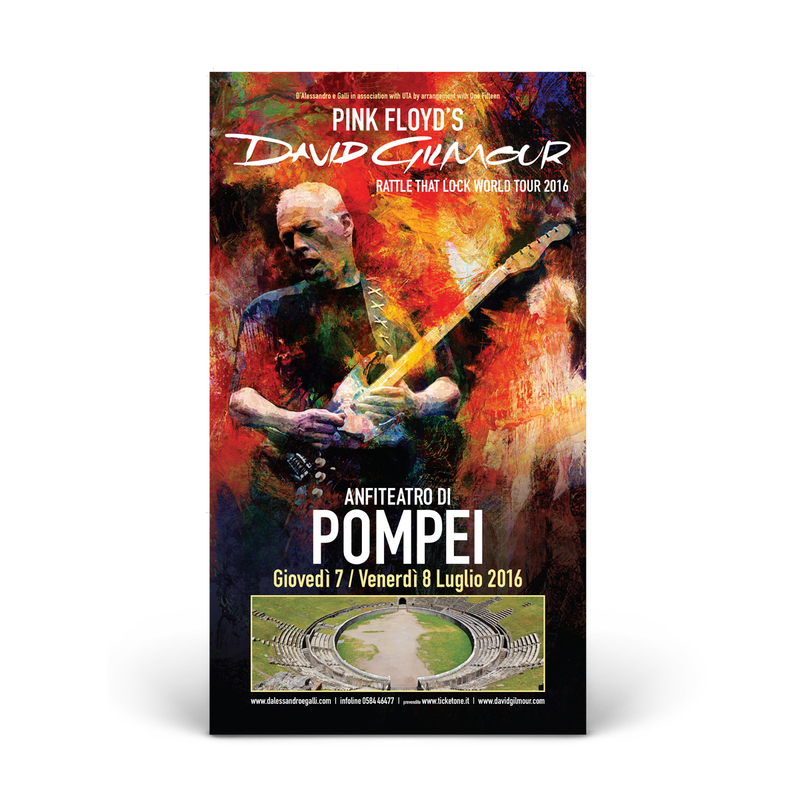 We haven't even had a chance to see all the bonus material yet, but just the concert in Pompeii itself is worth it. The recording quality and videography are excellent, and really accentuate all the aspects you'd see as if it were live. Highly recommend to anyone who's a fan, the box set is worth it. Took a while to get to me (bybno fault of the DG store), but it was well worth the wait! Video and audio are superb. All the extras were enjoyable to watch. The packaging and bonus poster and booklet were a nice touch. If you’re on the fence about upgrading, get off and just do it! You won’t regret it. 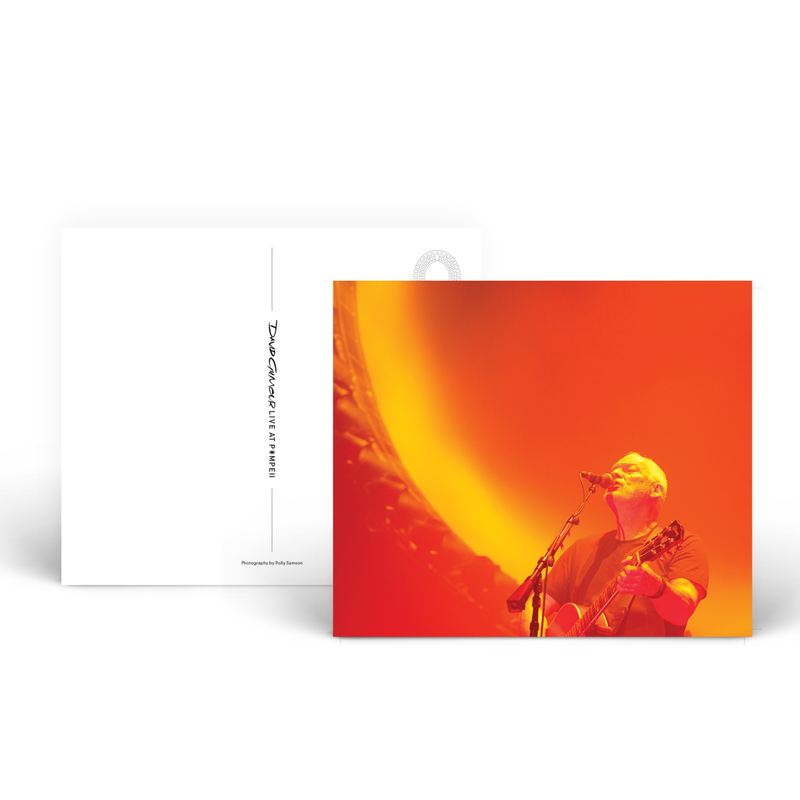 The best of the David Gilmour sound right to your ears! Must have for Pink Floyd fans... thank you! This is an excellent souvenir from David's recent tour. We saw him in Toronto. This package is even better than the show we attended as it includes material he didn't play in Toronto as well as tons of bonus content. You won't be disappointed! Great set! DVDs are spectacular as well as the CDs, would recommend to any David Gilmour and Pink Floyd fan! the blue-ray discs are everything I expected and more! even in 720p you can tell the show was shot in 4k. as always top notch sound. liked the extras in the blue-ray/cd pkg. JUST WISHING I COULD SEE DAVID IN CONCERT AT LEAST ONCE MORE! THANKS AGAIN!